Entrepreneurs say they’re carried away by the excitement of hemp’s potential. 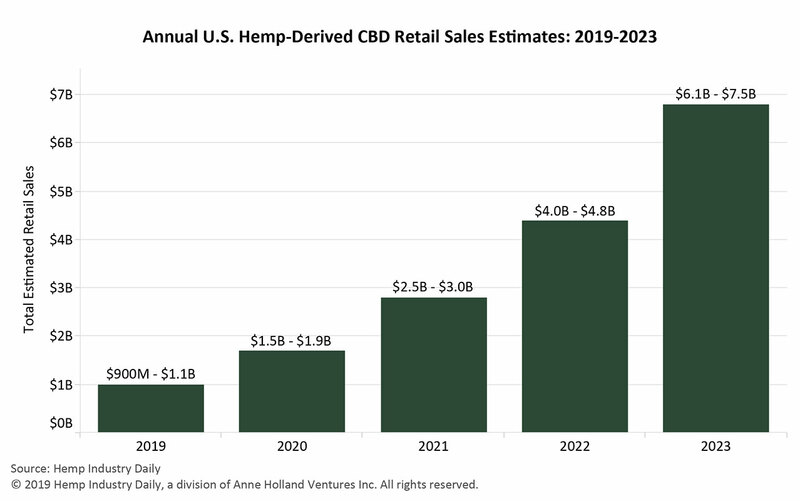 Hemp Industry Daily projects hemp-derived CBD retail sales will surge to as much as $7.5 billion by 2023, up from about $1 billion this year. Nevertheless, entrepreneurs are uncertain where the rush will take them or what the market is going to look like when the waters recede. 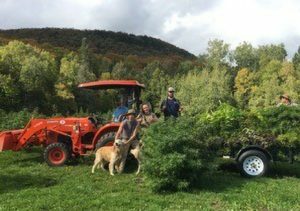 “First we did a happy dance because we thought it was so awesome,” said Karen Devereux, whose family grows 2 acres of hemp in northern Vermont and makes CBD products under the brand Northeast Kingdom Hemp. But like many hemp entrepreneurs, Devereux’s Farm Bill elation was short-lived. Hours after the bill was signed, the U.S. Food and Drug Administration (FDA) reminded the industry that while CBD is now legal, the molecule can’t legally be added to foods, drugs or cosmetics. The FDA did promise to review its guidelines, leaving the possibility it would liberalize its CBD stance. But the agency’s current position leaves a big question mark for hemp entrepreneurs. Devereux’s anxiety is shared by many CBD manufacturers. How long will it take for the U.S. Department of Agriculture (USDA) to set the rules for state-level hemp programs? How will the FDA enforce its position that CBD is illegal to add to foods, dietary supplements and topicals without the agency’s explicit approval? Will hemp legalization prompt behemoth companies in the agricultural, retail and pharmaceutical sectors to drive small entrepreneurs out of the hemp market? For new hemp entrepreneurs such as Devereux, the Farm Bill hardly answered all the legal questions about hemp-derived CBD. The U.S. should be dominating the Hemp Race. But we are not. Other countries are. We are moving way too slow developing our hemp industry. The Hemp Industry is crucial to so many things. I cast my votes according to Hemp and the politicians supporting it. I hope many others do the same. Move Cannabis out of Schedule I now.